Nikki Maxwell is part of a band that has been offered a recording contract. Despite the problems with meeting up with Trevor Chase, a Hollywood producer Nikki finds herself thrust into stardom when she is offered her very own reality TV show. It turns out though that it isn’t anywhere near as much fun as it sounds, especially with her arch enemy MacKenzie doing everything she can to steal the spotlight and mess up Nikki’s fledgling relationship with Brandon. has Nikki bitten off more than she should have? A continuation of the trials Nikki Maxwell, self confessed dork, goes through everyday as she tries to hide the truth of who she is from the people she attends school with. Nikki is a bit of a drama queen but it makes for fun reading. The plot follows the same pattern of the other books but that is unlikely to bother younger readers, who will be way more interested in the silly antics and quirky illustrations. Let’s face it what youngster doesn’t dream of fame and fortune and maybe the possibility of staring in a reality tv show. School has it’s ups and downs but Nikki has found her place even though she still doesn’t have her much sought after iphone. Now the school is holding a talent competition and Nikki is excited about working on an act with her BFF’s Chloe and Zoey, and hopefully impressing Brandon in the process. But Mackenzie wants to win and is prepared to play dirty to do so, there is a reason she is Nikki’s arch-nemeis. While trying to give her friends a chance to dance with the guys of their dreams and not be found out as the daughter of the school exterminator, Nikki makes a desperate decision that could cost her the scholarship. Now she has to enter the competition and hurt her friends feelings if she stands a chance at staying at school. Mackenzie is there at every turn trying to mess it all up for Nikki. Will Nikki make up with Chloe and Zoey? Will she get to stay at school? And the biggest question of all, can Nikki take on the always horribly popular Mackenzie and win? 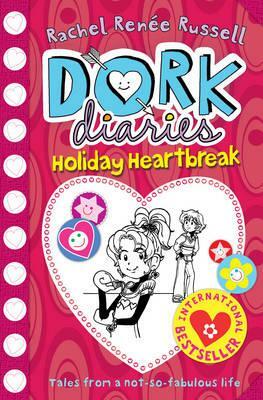 The third book in the Dork Diaries and I have to say I still like these characters, maybe even a little more than before. I find the style a joy to read and the illustrations only enhance the story making me smile. The only thing I wish is that Nikki would start to trust her friends a little more. 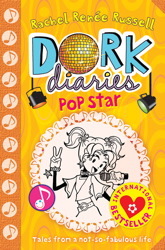 Having said that though, these books remain great fun and while the inner dork in me cringes at some of the situations Nikki finds herself in (both self-imposed and Mackenzie inflicted), my spirits are buoyed by her victories big and small. I really like these books and think tween readers will devour them. 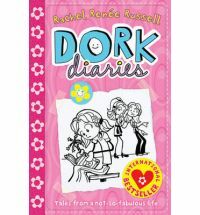 They are a quirky telling of the not so easy life of mone of the dorkiest kids in school, something I can certainly relate to. Bring on more Nikki Maxwell stories. Nikki Maxwell is adjusting to her new school. She has two BFF’s Zoey and Chloe and a major crush on the guy in her biology class – Brandon. The crush has taken a step forward because Brandon has asked her to be his science partner – awesome news. It also looks like he wants to ask her something else but never gets to it, or Nikki does something to mess up the mood. The next big event in the school social calendar is the Halloween dance. Nikki figures Brandon will never ask her and when her arch-nemesis, Mackenzie, announces that she is going with Brandon Nikki is guttered and agrees to help out at her sister’s ballet party. Then somehow Nikki finds herself chairperson of the Halloween dance, which will take a miracle to get back on track. Now she has to figure out how to keep her commitments, keep her friends happy and maybe just maybe have her dream of going to the party with Brandon come true. 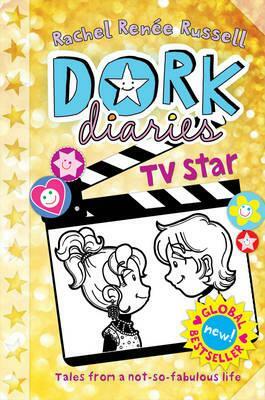 This is the second of the Dork Diaries and I’ve got to say I’m a bit of a fan. The writing style is fun and current. The illustrations are quirky and add a nice dimension to these books. Nikki struggles like any dork does with the mire that is negotiating relationships and not just romantic ones. A funny yet sometimes cringe inducing look at the life of a not so popular girl. Nikki Maxwell’s dad is an exterminator and through work he got her a scholarship to Westchester Country Day Middle School. Nikki isn’t popular, in fact she is a total dork, but a new school means she might be able to change that. It is a chance to make friends with the Cute, Cool and Popular (CCP) girls. The first hurdle is to convince her mother that she needs a new iphone. Once school starts it becomes clear that the dork isn’t so easy to get rid of. The girl with the locker next to Nikki, Mackenzie, quickly becomes her arch-nemesis, she is everything Nikki hoped to be. Things aren’t all bad though, as she finds friends in the least likely place, the library. She also has biology class with the very cute Brandon. Then there is the Avant Garde Art Competition, it’s Nikki’s chance to prove she’s good at something, but Mackenzie thinks that prize should be hers. Will Nikki find a way to fit in? A thoroughly fun read. As a self-confessed dork it bought back some memories and some things just haven’t changed. 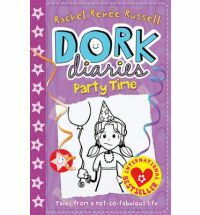 It very much fits into the tween age category, it’s format and illustrations will bring inevitable comparisons with Kinney’s Diary of a Wimpy Kid. It is a formula that works (less text and fun illustrations) and it is a good way to hook in the more reluctant readers. I have to say I enjoyed my visit through Nikki’s diary.